Riot grrrl is a political, social, and musical movement that began in 1991 simultaneously in the cities of Olympia, Washington and Washington, D.C. by a small group of young women who wanted to bring feminism to punk rock. In the early to mid­ nineteen nineties the media was enamored with riot grrrl but continually misrepresented the messages of the movement through misquotes and fabricated stories which caused a large schism between riot grrrl and the media. Riot grrrl became synonymous with white middle class college educated rebellious girls. Contrary to this image, Los Angeles riot grrrl culture has presented a longstanding idealistic vision of intersectional feminism by connecting various marginalized and unlikely partners in overlapping social, political, economic, and environmental issues. More than twenty years later, riot grrrl in Los Angeles is characterized by an ethnically and economically diverse population of mostly women ­­ rich with music, literature, cultural festivals and consciousness raising meetings. 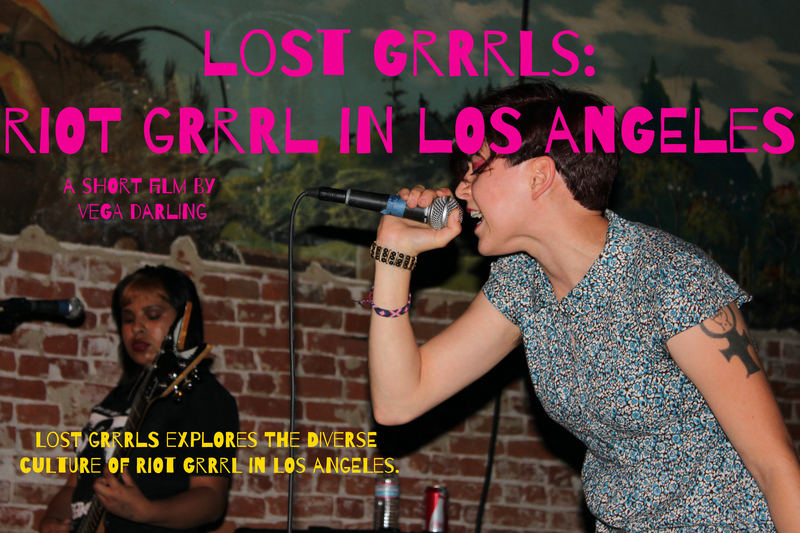 Lost Grrrls traces the roots and evolution of a vibrant local feminist culture that has defied the mass media spun stereotypes of riot grrrl. co-founder of the Los Angeles riot grrrl art collective, Revolution Rising.